Turakhia steps aside at ad tech company he founded. Vaibhav Arya has been named CEO of Media.net. Div Turakhia, the billionaire co-founder of Directi and founder of ad tech company Media.net, is stepping down from the CEO role at Media.net. 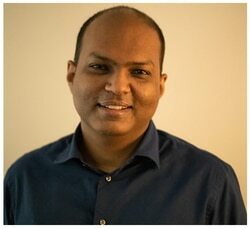 The company announced today that current CTO Vaibhav Arya has been promoted to CEO. After the acquisition, Turakhia stayed on in the CEO role while grooming his senior management team for a planned transition. Now, one of the people who has been with Media.net from the beginning is stepping up as CEO. Arya has worked with Turakhia for a decade. While Arya has technically been the CTO, I know from my time working with Arya and Div at Media.net that Arya has a strong business acumen. Turakhia has been appointed Strategic Advisor to the Shuzhi board. Update: I have received a copy of the email Turakhia sent to the 1,300 employees of Media.net today. It is below. How Divyank Turakhia built an ad tech powerhouse. Divyank Turakhia made his initial fortune in domain names and webhosting. He then turned to the online advertising market with Media.net, a company he sold last year for $900 million. This week, the young billionaire discusses how he broke into the crowded ad tech market to create such a valuable company. Also: Igloo goes European, new uses for domains, Afternic expands and no love for emoji domains. Turakhia scores again with Media.net; $900 million deal makes him a billionaire at age 34. Divyank Turakhia arrives for deal signing ceremony with members of the consortium that bought Media.net. Divyank Turakhia, who co-founded Directi with his brother, has struck again. Turakhia sold his AdTech company Media.net to a Chinese consortium for $900 million, making him a billionaire at the age of 34. Media.net allows web publishers to tap into a large pool of advertisers, including the Yahoo! Bing ad network. It started as sort of a contextual platform built on Yahoo! pay-per-click, but has grown significantly since then. The company grossed $232 million last year and manages over $450 million in annual advertising revenue. For Turakhia, this is just latest in a string of successes. The Indian entrepreneur made his first $1 million at age 18, $100 million at 23, and is now a billionaire. In 2014, Turakhia and his brother Bhavin sold four of their brands to Endurance International Group for $160 million. In some ways, Turakhia has domain name parking to thank for his latest success. He cut his teeth in web advertising by running domain name parking platforms including Skenzo and Domain Advertising, which are now part of Media.net. Turakhia will stay on to run the business.